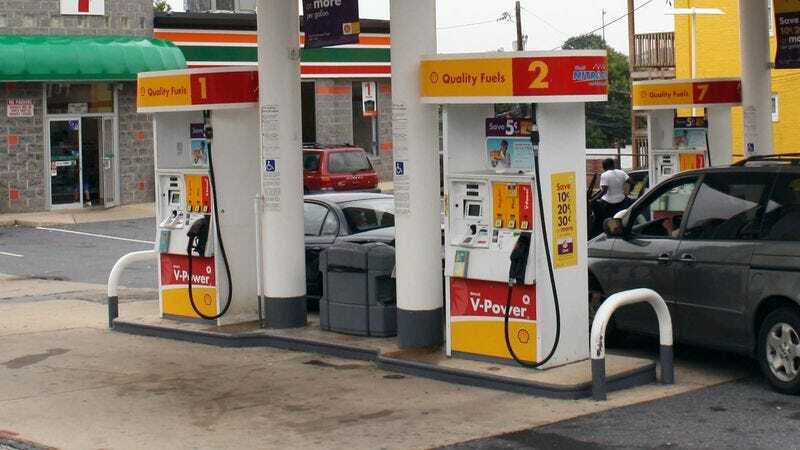 BOONEVILLE, MS—Surveying the eight gas pumps from his post behind the counter at the Walker Avenue Shell station, local clerk Marvin Peters told reporters he was especially pleased to see pump 2 performing so well among customers Thursday. “Pump 2 definitely gets short shrift because it’s not the easiest to pull into and doesn’t have a window wash station, so it’s always nice when 2 pulls in the numbers it really deserves,” said Peters, noting that he had been happy to see the trusty old fueling site “really take off” with several sedans and even a couple gas-guzzling vans a few hours into his morning shift. “You expect pump 4 or 8 to get this level of traffic, sure. And obviously nothing is ever going to measure up to pump 5—clearly 5 is the most popular pump, and that’s never going to change. But good ol’ 2? Well, it has a little something special. It’s nice to see an underdog get its due every once in a while.” After taking one more fond glimpse at the pump, Peters then reportedly shook his head and chuckled warmly to himself as he watched some naive young fellow hauling a boat attempt to snake his way into pump 6.